IMPORTANT: The code for the new DPW Gallery Widget that rotates your last 10 paintings live from your gallery is not in this article but instead in your DPW Gallery page. Log into your DPW account and click on the my Gallery link at the top of your DPW Gallery Website page. Select the Get my Gallery Widget link in your Artist Tools menu. Follow the instructions in the pop-up that opens. Copy the widget code between and including the <!-- Start ... --> and <!-- End... --> text. 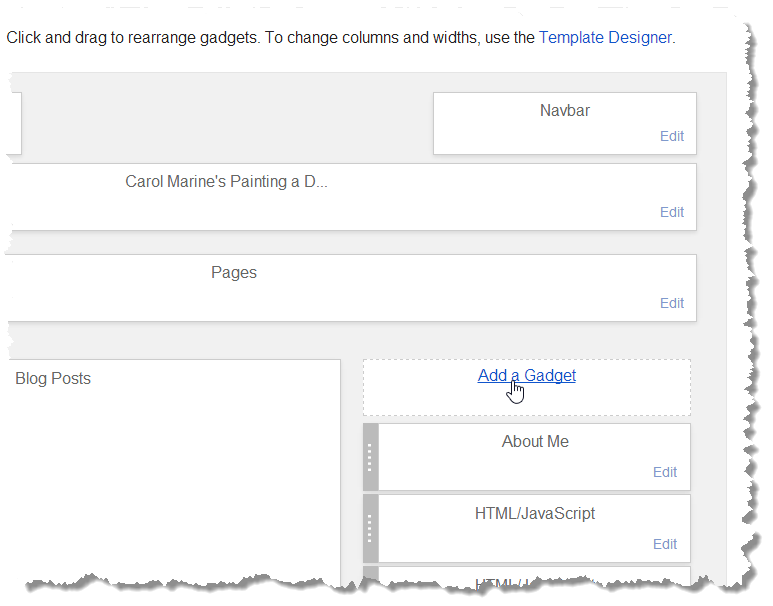 If you don't use Blogger, follow your blog provider's instructions for inserting it into your blog. 1. 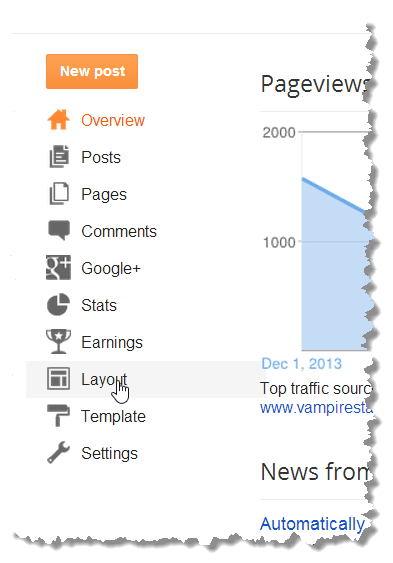 Sign into your blogger account and select Layout in the list of options on the left. 2. On the layout page click "Add a Gadget". 4. 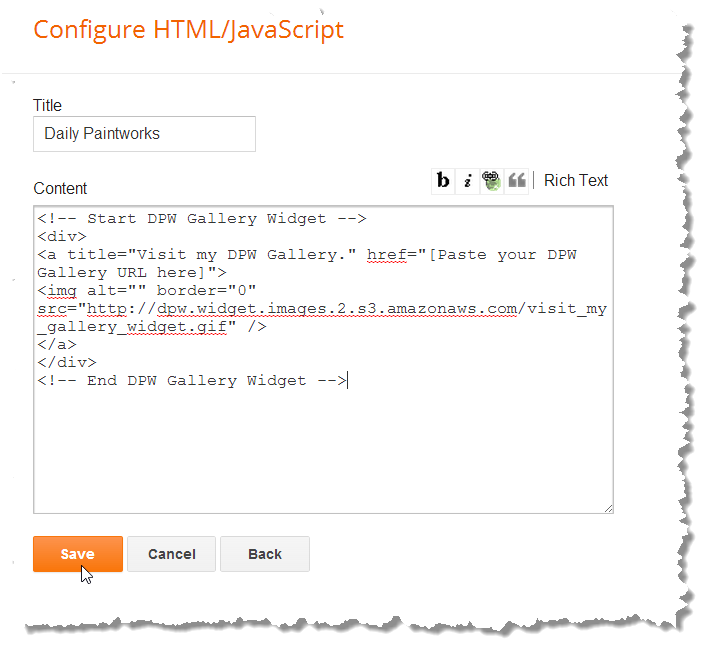 Set the title and copy and paste in the code for the DPW widget you want. 5. Click the "Save" button and you are done! Posted - Sun, Jun 12, 2011 at 5:04 PM. This article has been viewed 69152 times.